Genes regulating circadian rhythms are shut down in Alcoholics & Shiftworkers. Circadian rhythms refer to biological phenomena that oscillate within a 24-hour cycle, in keeping with the earth’s rotation. These rhythms are controlled by a part of the brain that is influenced by light. The human body, like many other mammals and some bacteria, displays changes in functions and behavior that wax and wane through the cycle of day and night. 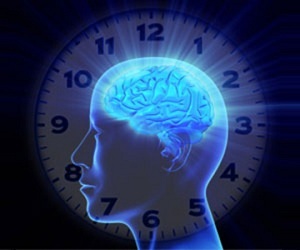 In-tune with the ‘biological clock’ within the body an individual has more than 100 circadian rhythms that are unique and influence various aspects of body functions, including heart rate, blood pressure, body temperature, hormone levels, pain threshold and even the ability to fight against harmful invaders like bacteria and virus. Almost no area of our body is unaffected by these rhythms. In industrialized nations, up to 20% of workers work either night or rotating shifts, according to an editorial published in the New England Journal of Medicine. Rotating shifts are the hardest on the body. The circadian rhythm is so ingrained in each one of us that what we’re doing is going against the body’s natural desire to be asleep at night-time and to be awake during the daytime. When you expose yourself to sunlight the body is supposed to switch off the production of melatonin which helps you fall asleep. The world drank the equivalent of 6.1 litres of pure alcohol per person in 2005, according to a report from the World Health Organisation published on February 11th. Alcohol reduced the time it takes to fall asleep and increases deep sleep during the first half of the night. However, sleep disruption, or waking after falling asleep, increased during the second half of the night, the researchers found. You’re just sort of hurtled into this conscious-less void. Alcohol also reduces overall rapid eye movement (REM) sleep during the night. REM sleep is a stage of sleep during which dreams occur, and is thought to be important for memory. It also increases our likelihood of snoring. (Snoring can of course destroy relationships between entirely reasonable people.) And we don’t even get the benefit from that extra deep sleep, because once the alcohol wears off, those deep sleep phases are so disrupted that the net overall effect is a less restorative night. Both Alcoholics & Shift workers are sleep-deprived and often get irritable or depressed, relationships and social life can suffer. Risk of ulcers, insulin resistance, metabolic syndrome, and heart disease are higher. Memory and ability to focus gets impaired including headaches, lack of energy and trouble concentrating. Keep your workplace brightly lighted to promote alertness. If you’re working the night shift, expose yourself to bright light. Being exposed to bright light when you start your “day” can help train your body’s internal clock to adjust. Limit caffeine. Drinking a cup of coffee at the beginning of your shift will help promote alertness. But don’t consume caffeine later in the shift or you may have trouble falling asleep when you get home. Avoid bright light on the way home from work, which will make it easier for you to fall asleep once you hit the pillow. Wear dark, wraparound sunglasses and a hat to shield yourself from sunlight. Bright lights stop your body from producing its natural sleeping aid, melatonin so, dim the lights, use blackout blinds or heavy curtains to block sunlight when you sleep during the day. Even if your eyes are closed, the sunlight coming into the room tells your brain that it’s daytime. Shut off the television and stay off the computer. Keep a notepad next to your bed, so you can write down whatever pops into your mind when you’re trying to sleep. You can worry about those things tomorrow. Keep pets out of your bed. Ask your family to limit phone calls and visitors during your sleep hours. Just relax. Right before bed, clear your mind; take a few deep breaths and stretch. If you’re feeling especially stressed, try a warm bath before bed. Avoid alcohol and nicotine around bedtime. The information provided on this website is solely for informational purpose. We do not take responsibility for any possible consequences from any action, treatment, procedure, exercise, dietary modification, application of medication which results from reading or following the information contained in this website. Before undertaking any course of treatment, the reader must seek the advice of their health care provider.